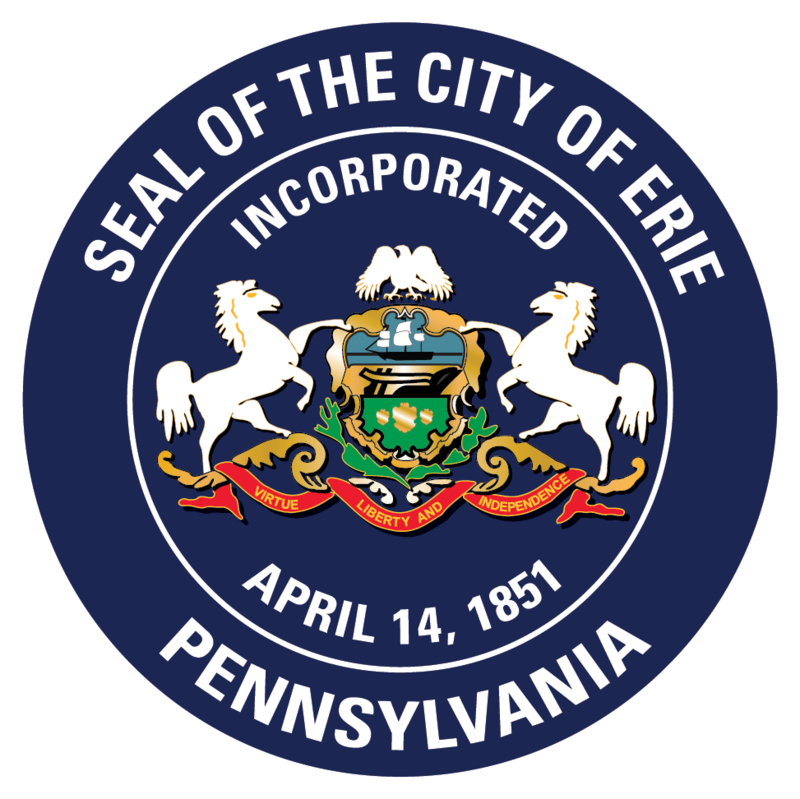 The Traffic Engineering Division plans, installs, operates, and maintains traffic control devices in the City of Erie. The division maintains 320 miles of striped roadway and operates 209 signalized intersections of which 197 are equipped with the R.E.L.C.O. (Radio Emergency Light Company) preemption system. In addition, the division personnel review projects involving School Flashers, Parking Regulation signs including Handicap Parking, Transportation Modeling and area-wide Transportation Studies. If a traffic light is not functioning properly, please contact the Erie Police Department’s non-emergency number 870-1125. A CSO will take your call and notify the proper departments for action. Why won’t you install STOP signs on our street to slow down traffic? Many believe that forcing motorists to stop at each intersection will decrease overall speed on the road. However, studies show that stop signs only reduce speed immediately adjacent to the sign. Most drivers accelerate between signs to make up for apparent time lost. Engineering studies indicate that the inappropriate installation of extra stop signs may cause additional problems such as rear-end collisions, a redistribution of traffic onto side streets, and drivers ignoring the inappropriate stop signs. Stop signs are used to assign right-of-way at an intersection, not to control speed. If you believe speeding is an issue in your neighborhood direct your concerns to the Erie Police Department – 870-1125. How can I get a sign for reserved parking for the handicapped installed? The State of Pennsylvania requires that form MV-145A be filled out and submitted along with certification from your doctor attesting to your disability. Once the State provides you with your Handicap Placard and expiration date a Handicap Parking Request Form submitted to the Traffic Engineering Division will be reviewed and a sign will be placed if the location is appropriate for such placement. Form MV-145A and Handicap Parking Application also available at City Hall 626 State Street, Room 508 Traffic Engineering. How is it determined that a traffic signal is needed at a location? As traffic volumes increase beyond the capacity of “Stop” signs a traffic signal is considered. Before a signal can be installed a review is made of vehicle and pedestrian traffic the need to provide traffic interruption special consideration such as curves and hills the accident history and the proximity of the intersection to a school. The Federal Uniform Traffic Control Devices Manual dictates the physical elements of the signal plus the guidelines for installation. Following a complete study a decision is made to install or not to install the signal. What is traffic signal synchronization and how does it work? The goal is to get the greatest amount of vehicles through the system with the fewest stops in a comfortable manner. Along major arterials which have several traffic signals spaced at periodic intervals, the traffic signals are usually synchronized to provide coordinated movement along the major street. There is a wire in the pavement behind the crosswalk called a loop detector. The wire creates an electric field in the air above the pavement. When a larger object interrupts the electric field, the signal knows that a vehicle is present and will provide a green light at the proper time in the established traffic signal cycle. Some people think that if they back up and drive forward again, they will make the signal change quicker. This does not work. The mechanism does not count the number of vehicles waiting. Some people feel that if they get out of their car and push the pedestrian button, they will get the green quicker. They will not. The pedestrian push button does not make it come on quicker; it does make it stay green a little longer to allow for pedestrian traffic to cross. What can I do to make our streets safer? As a Driver… Know and obey the speed limits! The most common concern expressed to the City is about speeding traffic in residential neighborhoods. Speeding traffic is a concern to all of us. The speed limit in residential areas is 25 mph whether it is posted or not. This lower speed limit allows for a greater reaction time and shorter necessary stopping distance to avoid a hazard in the roadway. Watch for and yield to pedestrians in the roadway Pedestrians are commonly present in residential neighborhoods. A pedestrian has the right-of-way in marked or unmarked crosswalks at an intersection as long as they have used due care for their safety. As a Parent…. Set a Good Example for your children Children often learn from watching and imitating their parents. Your actions as a driver, pedestrian, or bicyclist should always set a good example. Do not encourage your children to play in the street Instead, encourage them to use their own yard, a neighbors yard, or a near by park. “Children at Play” signs are discouraged. They send a wrong message to parents and children, fostering a false sense of security. Instruct children in the proper way to cross the street Teach your children this simple rhyme: Stop, look and listen Before you cross the street. Use your eyes, Use your ears, And then use your feet. Tell children not to dawdle, but to cross quickly when safe to do so, and to continue watching for traffic until they are safely across. As a Resident…. Get involved Be aware of road conditions, traffic patterns and alternate routes to your destination. Be aware of the rules of the road as a pedestrian, bicyclist, or motorist. Be safety conscious, notify City of Erie Traffic Engineering @ 870-1396 when situations seem to create a problem. Report damaged, faded or missing traffic signs and help maintain good visibility by trimming landscaping. Sight distance at intersection corner lots is especially important.